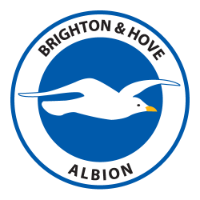 Brighton and Hove Albion booked their place in the fourth round of the FA Cup with a well deserved 3-1 victory away at Bournemouth. Brighton and Hove Albion secured their place in the fourth round of the FA Cup with a convincing 3-1 victory over South Coast rivals Bournemouth. Quickfire first half goals from Anthony Knockaert and Yves Bissouma set the Seagulls on the way before Marc Pugh equalised shortly after the interval. Florin Andone’s header from Shane Duffy’s cut back restored the lead back to two goals and ultimately gave the Seagulls the win. Chris Hughton’s men started the game slowly, and the Cherries took control of the early stages, moving the ball nicely without really testing Brighton debutant Jason Steele. Striker Lys Mousset spurned Bournemouth’s best chance after Nathaniel Clyne’s cross found the feet of the Frenchman, who fired over with an empty net waiting. Brighton then grew into the game as Dale Stephens’ ball over the top wasn’t dealt with confidently by Steve Cook and Jurgen Locadia nipped in to set up Knockaert who finished across Artur Boruc to give the Seagulls the lead in the 31st minute. 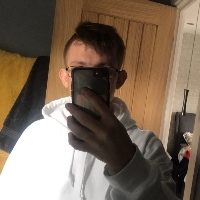 Albion extended their lead three minutes later as 22 year-old Bissouma drove at the Bournemouth defence before unleashing a stunning drive in off the post to open his account in blue and white colours. 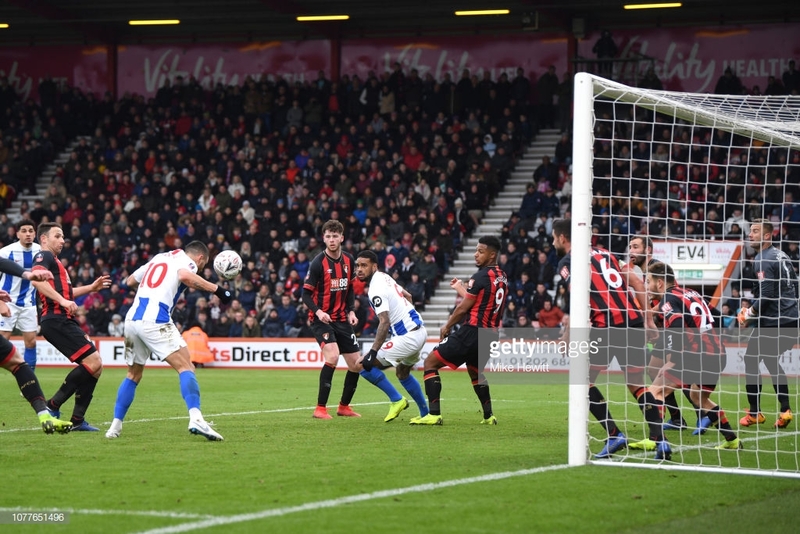 The Cherries equalised 11 minutes after the break after Marc Pugh fired past keeper’ Steele from the edge of the area to give Eddie Howe’s side a chance of rescuing the game. However, Florin Andone headed home from Brighton’s only corner of the afternoon to send them into the fourth round of the FA Cup for the third year in a row. 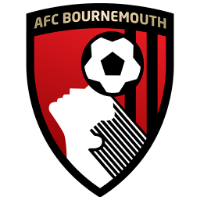 An attack of Anthony Knockaert, Florin Andone and Jurgen Locadia caused Bournemouth all sorts of problems and helped the Seagulls to score three goals in an away game since last season’s 3-0 win at West Ham United. The pace and work rate from the Albion forwards always had the Cherries’ defenders under pressure and all three of them made a key contribution to the win. Locadia set up Knockaert’s opened with a clever back heel after not giving up on a long ball forward and Andone headed in his third goal for the Seagulls from Knockaert’s corner which was headed back across goal by Shane Duffy. The new 4-3-3 formation that Chris Hughton has been using recently seems to be paying off with a run of four games unbeaten in all competitions. A front two of Lys Mousset and Ryan Fraser could have caused Brighton some serious problems as well as wingers Pugh and Jordon Ibe, but they never impacted the game enough with the possession and the positions they got themselves in. Howe will be disappointed that such talent couldn’t produce enough meaningful chances, giving them little opportunity to peg Brighton back. Yves Bissouma - Bissouma scored his first goal for Brighton with an unbelievable strike from outside the box to help the Seagulls to victory. On numerous occasions, the Mali international picked up the ball and drove at the defence of Bournemouth, creating chances for both himself and his teammates. Relieving his team of pressure towards the end by drawing several fouls with his quick feet also demonstrates the intelligence of the midfielder at such a young age.